World-class accredited education at an affordable price to help you become the next leader in the health, nutrition and fitness industry. The American Fitness Professionals Association provides comprehensive programs designed by experts, that will give you the high-calibre expertise necessary to effectively change lives. The robust, all-in-one education system designed to turn your dream career into reality. Our programs are tailored to suit anyone’s schedule. In just 6 months or less, you can become certified on your own time, from anywhere in the world. Whether you want to land your dream job or are working to start or grow your own business, you can turn your love for helping others into a lucrative career. Motivate, inspire and transform the lives of others by helping them achieve optimal health with the guidance of counseling and coaching methods. Your career choice is one of the most important, pivotal decisions you’ll ever make. Choose from our extensive educational options to help you become financially independent doing what you love. Study for your certification at your own convenience. Our curriculums can be completed at your own pace from anywhere in the world. We offer some of the best and highly-respected, non-degreed training programs in health, wellness and nutrition education with minimal financial commitment. We thrive on industry-leading education. With over 110,000 graduates throughout the past-quarter century, our certification process is scientifically proven and results driven. AFPA thrives on having the most comprehensive selection of health, fitness & nutrition programs. With over 30 unique certifications, you can find the exact curriculum you’re looking for. Select the category that speaks to you. Have a passion for achieving optimal health through strategic nutrition plans? AFPA has a variety of holistic, preventative, fitness and sports nutrition certification programs to help you provide your clients with the tools and strategies to improve their daily eating, overall health health and longevity. Today's research indicates that unhealthy eating is one of the leading contributors to premature disease and death. Now is the time to begin your education to acquire the necessary skills and expertise to become a successful nutrition professional. Our nutrition programs will show you how to deliver nutrition advice and expertise in a way that helps people make meaningful progress. From holistic nutrition to weight management and more, AFPA has a program for you. Become a pivotal part of people’s lives and guide them into rejuvenated health. Our health coaching certifications will train you to guide clients into living their fullest through healthy lifestyle, dietary and motivational changes. Health coaching has become one of the most lucrative industries to date. With the rise of natural living, many people are turning to dietary and lifestyle changes for disease-free living. As a health coach, you will learn how to guide your clients into effective behavior change. 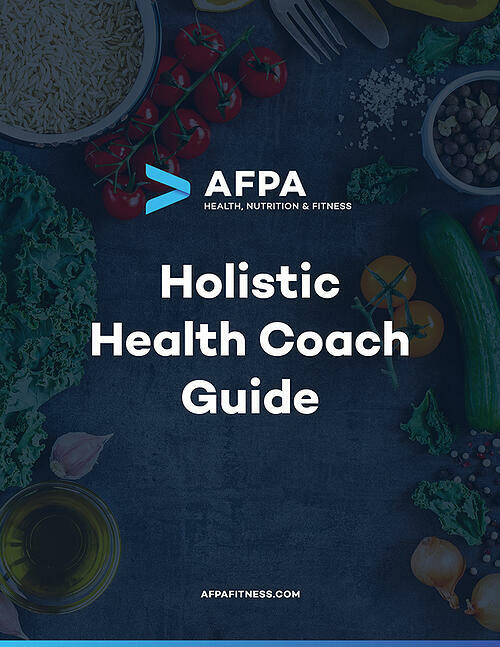 AFPA health coach certifications show you the best approaches for setting goals, supporting, motivating and adopting lifestyle choices that will help your clients live a healthy, vibrant life. Gain the skills to become an expert personal trainer in the niche of your choice. Whether you are a beginner looking to get certified, or you want to take your personal training to the next level, AFPA has plenty of options to choose from. If you're considering a career in personal training and wondering what it takes to become a Certified Personal Trainer, we have answers. With an AFPA personal training certification, you’ll be equipped with the most effective tools, techniques and workout knowledge to give your clients the results they’re looking for. Whether you are a beginner helping the novice get in shape or an advanced trainer looking to take your clients to the next level, we have a program that will suit your needs. Millions of people attend group fitness classes everyday. Our wide-ranging fitness certifications extend throughout various categories from group exercise to yoga. Learn more about which fitness curriculum is right for you. Help others get in the best shape of their lives with our popular fitness certifications. We understand that there is no one-size-fits-all protocol. That’s why our selection of programs range far and wide. Becoming the trusted, go-to trainer requires a specific set of skills and knowledge in the subset of movements you’re interested in most. From yoga to kickboxing and more, each fitness regimen must have an authority in the field to show clients the proper workouts and techniques. Become a fitness group instructor or teach one-on-one with an AFPA fitness certification. Are you interested in a hyper-targeted health niche? AFPA has several specialized certifications like longevity wellness, core training, golf conditioning, multiple sclerosis fitness, triathlon injury, and much, much more. Become an expert in a specialized health niche and guide others into reaching their full physical potential by solving their own individual needs. AFPA’s specialty programs allows you to become the trusted authority in several specialty fields such as running injury prevention, posture analysis, golf injuries, back injury, cycling injury and much more. If you’re interested in a more unique certification, choose one of our speciality programs so you can help your clients on a more personal level. AFPA offers in-depth certifications for professionals who want to stay ahead of the educational curve. Learn more about our continuing education courses designed to help you gain the right knowledge so your clients get the results they are looking for. Continuing education must be a priority for anyone who wants to maintain a sustainable career as a health, fitness or nutrition professional. 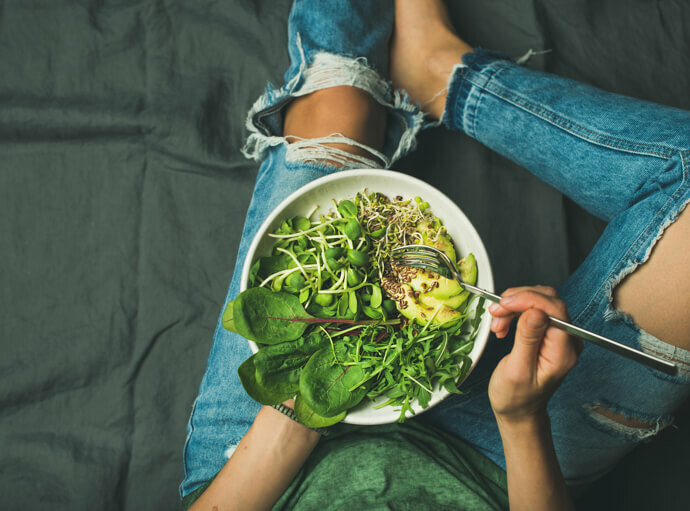 Our industry of health and wellness is constantly evolving with breakthrough science and knowledge, and we want you to stay on top of the current trends and education material. Our in-depth continuing education programs will provide you with the most recent information in your field along with the credits you need to maintain your credentials. Changing your career can feel daunting, especially when you don’t know where to begin. That’s why we created a detailed, step-by-step guide to teach you how to successfully become a professional in the health, wellness and nutrition field. Updated, science-backed educational programs broken down into an easily digestible weekly schedule, and advisors available when you need them, help you stay focused and set you up for a successful graduation and sustainable career. The health of an organization requires credibility, competency and authority. Accredited by numerous health and nutrition organizations, AFPA is proud to be considered one of the best, industry-leading health, fitness and nutrition education companies worldwide. AFPA has continuously delivered life-changing educational programs from top professionals for nearly 25 years. We pride ourselves on the expertise our team provides to students and the personal interest we give to the people who trust us as their certifying organization. Career advancement as a health, fitness or nutrition professional is a top priority for both our students and the AFPA curriculum. We have hundreds of continuing education programs created by industry leading experts available for you to choose from. Earn your CECs, expand your knowledge base and take your career to the next level at home, at your own pace, and more affordably than you thought possible! We let the results speak for themselves. Here’s what our past graduates have to say. The certification program changed everything in my overall life. It changed how I ate, my health, and how I help other people. It also changed my career in the health space. I liked that the information presented had studies and actually showed you the research as it was teaching you things." I looked at a lot of certifications out there. You name it, I’ve looked at it, but AFPA stood out to me. They’re out-of-the-box thinkers and so am I. The certification process was fairly easy, it was very effective, and fun to learn."